Ukraine – a land of vineyards, winemakers and wonderful wine! Dear representatives of foreign businesses, interested in cooperation with Ukrainian wineries! 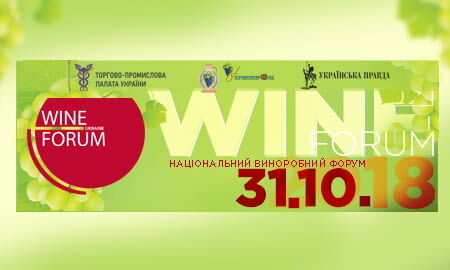 You are kindly invited to participate in the Fourth National Wine Forum that will take place on October 31, 2018, at the Ukrainian Chamber of Commerce and Industry. media group and "Ukrvinprom" corporation in partnership with the Embassy of France in Ukraine. Registration for event "NATIONAL WINE FORUM"